Anyone growing up in Regina has seen firsthand how structures and foundations can shift and sink in our soil. This can leave concrete basement floors broken and cracked, which can affect plumbing, flooring and more. The dry summer of 2017 certainly hasn’t helped matters, resulting in many basement floors throughout the city in need of repair or replacement. Here are a few things to consider when looking to repair or replace your basement floor. It may be tempting to tackle at least the concrete removal of your floor/concrete slab to offset the cost of the project, but this could end up costing you more in the long run. Improper floor removal can lead to serious foundation damage. Careful consideration needs to be made for underground pipes and radon removal systems, and things like water heaters need to be properly disconnected. Bring us in early to assess your floor and determine next steps, which can be removal and repouring, but can also be less costly patches or repairs. Removing and replacing a concrete slab is also something that should be done in a timely fashion. A concrete slab floor supports the overall foundation of your house and once a concrete floor is removed or compromised it can cause the bottom of your foundation walls to move inward, which will get worse over time. If you’re looking to remove and replace your floor on a D.I.Y., weekend-here, weekend-there schedule, you could cause a lot of damage to your foundation. Best to let the experts do the job properly and quickly. 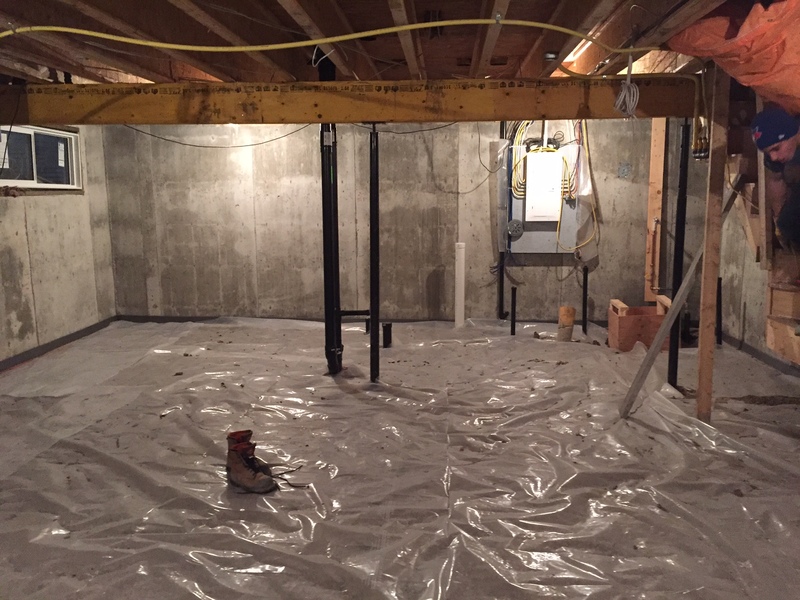 Removing and repouring your basement floor is also a great time to reconsider the layout of your basement. If you’re thinking about moving the bathroom or updating your radon removal system, think about it now. 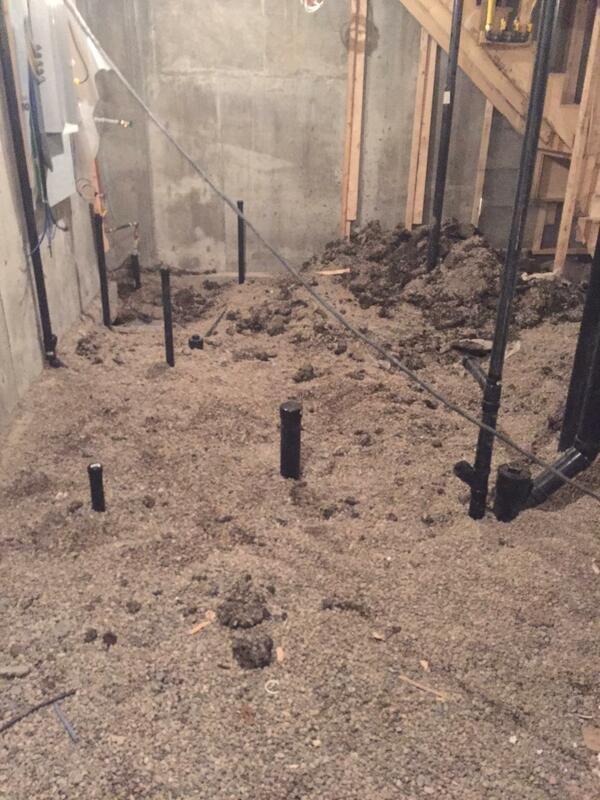 It’s also a great time to update your sump pit/pump system and any older drains beneath the slab. Keep in mind, you’re removing the basement floor, which also means removing anything on the basement floor. Construction projects of this nature can be stressful enough without the addition of a sea of clutter to wade through. Renting a portable storage container for the duration of the project will help cull the clutter and keep your sanity intact. The Textured Terrain team has years of experience tackling and taming Regina basements. Give us a call today to assess your basement floor.